Entrepreneurship requires a different way of thinking than what we learned in school. 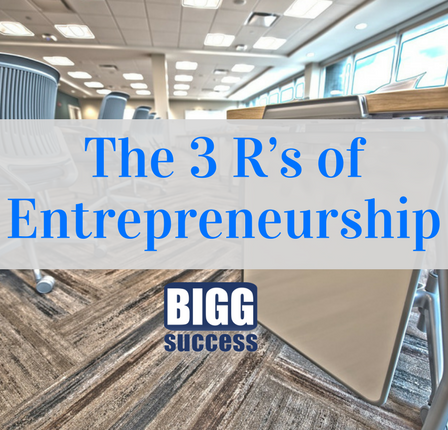 Whether you’re a business owner or not, you can profit from the 3 R’s of entrepreneurship. 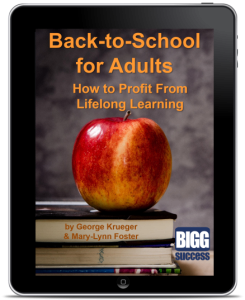 It’s back-to-school time so we’re thinking about learning. You know the 3 R’s: reading, writing, and arithmetic. Today, we want to talk about the 3 R’s of entrepreneurship. And they’re not just for business owners. They’re for anyone who wants to take control to reach financial freedom faster. Entrepreneurs are resourceful. However, they are not resource-full. In fact, they’re usually quite the opposite. They play with limited resources. But they make the most of the resources they have readily available. When you think like an entrepreneur, you’re able to do more with less. To accomplish this, think of life as a laboratory. In scientific terms, you’ll run tests. In the language of entrepreneurship, you’ll try something. And *very importantly*, as you try things, you gain resources. You spiral upward. Isn’t that much better than getting stuck with the status quo? There’s a very pervasive myth in our society. We are led to believe that entrepreneurs are risk-lovers. Sure, there are some who are. But most of them are not risk lovers; they are calculated risk takers. They are excellent risk managers. They mitigate risk. As we mentioned in the section on Resources, entrepreneurs try things. But before you try something, you want to get the risk to an acceptable level. What can I try with no fear of loss? If you can afford the loss, you can try something. If not, find a way to make it affordable or try something else that you can afford. When most people think of entrepreneurship and rewards, they think money. But money tends to follow. When you think like an entrepreneur, you focus on solving problems to make lives better for people. You think about how to serve people better. You may get to work when and where you want. You are able to live a life true to your values. And here’s another one: Entrepreneurship is a discovery process. Entrepreneurs are always learning. Here’s to your BIGG success!